Recoleta Rental in Buenos Aires at Gutierrez & Pueyrredon Av. 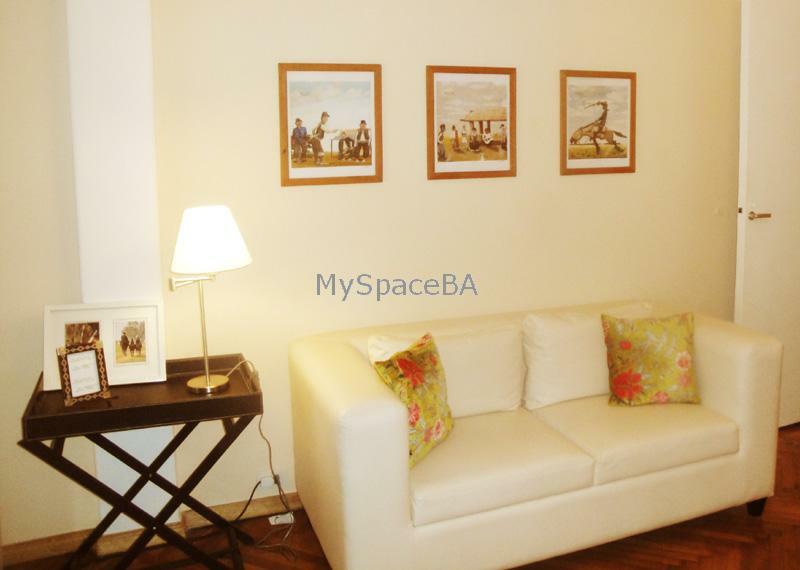 Beautiful Studio apartament located in Recoleta, near two famous avenues : Las Heras and Pueyrredon. The apartament is full of natural light , very quiet and safe. It offers a bedroom area with double bed , a living area with a comfortable sofa , a dinning area with table and chairs . TV with cable . Aircon hot / cold. Telephone , Internet Wi Fi . Kitchen equipped with a breakfast bar . Completly bathroom with bath tub and shower. Hardwood floor . Balcony . Full of natural light . Aircon . Heater . Internet . Wi Fi. TV with cable . Closet . Kitchen equipped . Bedlinen and towels. Very good building . Elevator . Downtown . Recoleta Cemetery . Parks . Embassies . Banks . Bars. Restaurants. etc .